Improving our lives isn't from follow a simple list. Science and experience has provided some clues, beacons of light to follow. 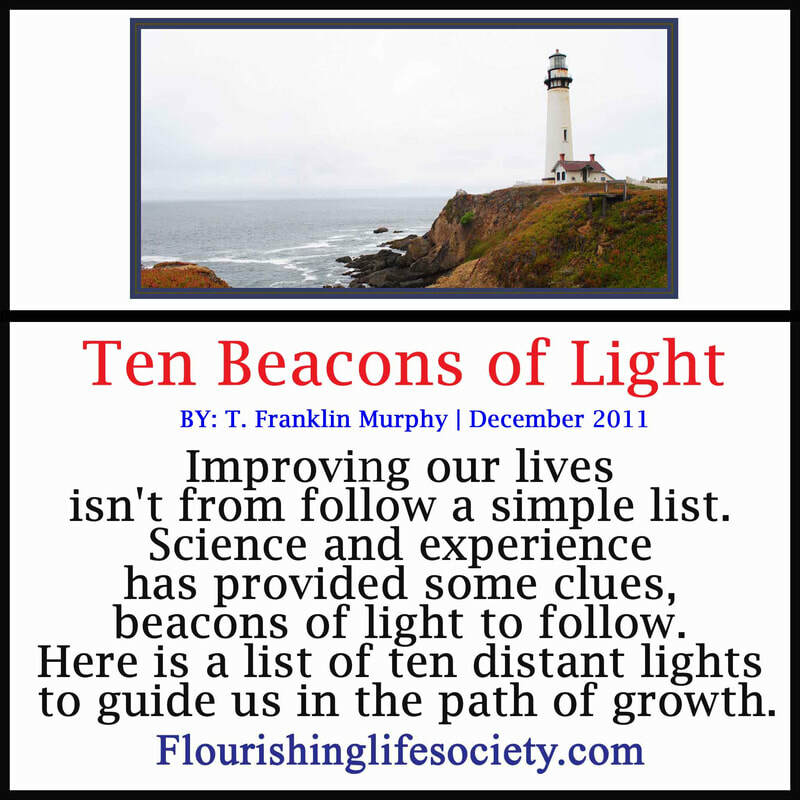 Here is a list of ten distant lights to guide us in the path of growth. 2. Compassion Towards Self and Others: Compassionately accepting where we are in our personal journey, creates a necessary friendly atmosphere where growth flourishes. Harsh judgments of self hurts. Shortcomings are an inherent part of humanity and living in a complex world. During our practice of mindfulness (Beacon #1), we can recognize critical self-judgements and work to soften those judgments with kindness. ​4. Accept Personal Responsibility: By ignoring our role in problems, we are condemn to relive the same painful mistakes. Spend time self-examining rather than affixing blame. ​5. 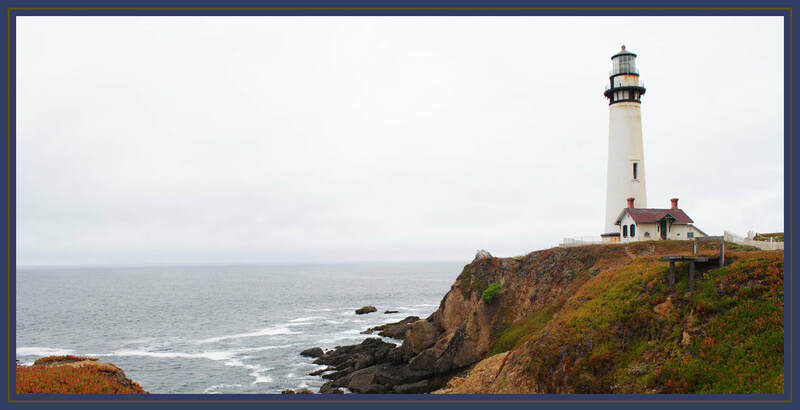 Knowing and Honoring Healthy Values: Our increased mindfulness reveals personal standards. This knowledge guides us with choices. Knowing our values, we can strive to align those values with our actions, working to eradicate misguided standards that hurt ourselves and others. 6. Purpose Driven: Life without purpose is mundane. Meaning transcends discomforts, giving hope. Our purpose doesn't need to be fixed. Life is dynamic and as such our purpose may change. ​7. Courage: With courage, we act in the face of fear. We use courage to follow values that oppose widely accepted norms. Courage is a motivating power, pushing us forward into the darkness of the unknown. ​8. Positive Associations: We need healthy relationships for support in times of trouble. We understand that inner resources are limited and success often requires a group effort. By actively seeking friends that lift, we increase our ability to give. ​9. Honest and Open Communication: Effective communication skills are not natural. These skills take effort to develop. Our mindfulness practices open us for connection. We must not coerce, force, compel, punish, reward, manipulate, boss, criticize, blame, complain, nag, badger, or withdraw in order to obtain our desires. Instead, we openly share our wants and needs but accept “no” when appropriate. 10. Contributing to the Whole: We don't live in isolation. We are part of a larger whole. We must live with respect to the environment (world, community, family) and work to improve the world through active participation.